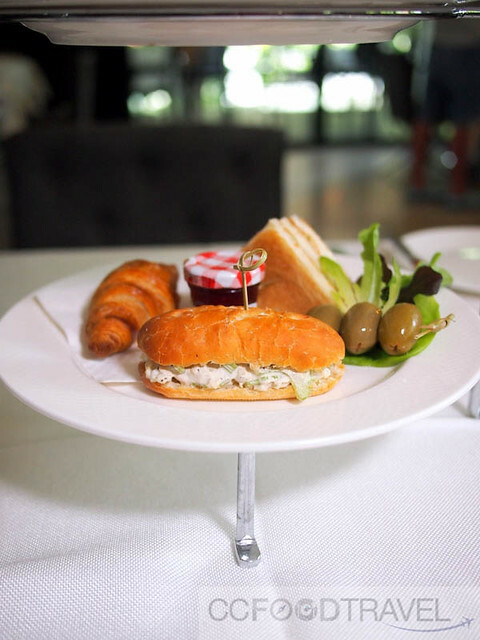 Maison Francaise has been the flavour of the year for us really , as now we are back again for their latest menu additions, the Sunday Brunch and Afternoon Tea. 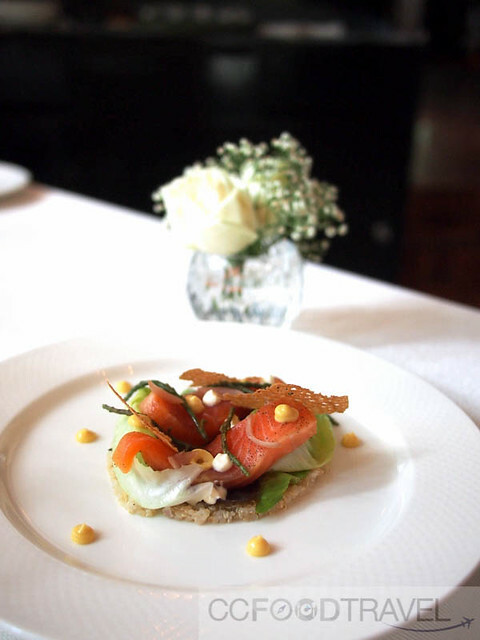 Just by virtue of the fact that the weekend 7 course Sunday Brunch is priced incredibly attractively to people who appreciate wine (and good food) it’s such a bargain, you cannot, not go. 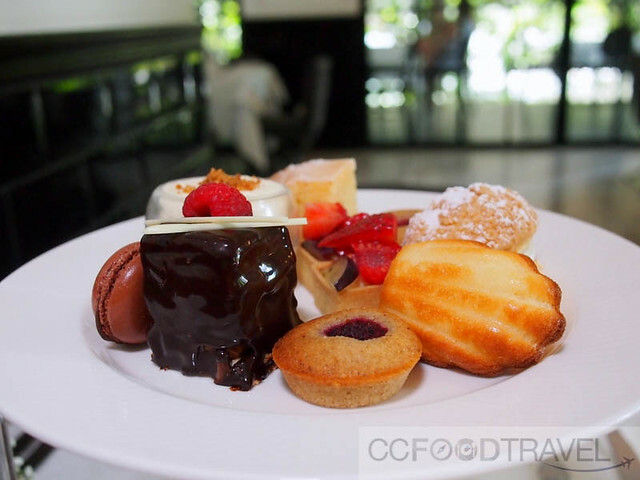 You see, the Sunday Brunch costs RM148++ and the boozy brunch is RM188++ (yes!) where you add free flow red or white wines. Definitely worth checking out, wouldn’t you say? 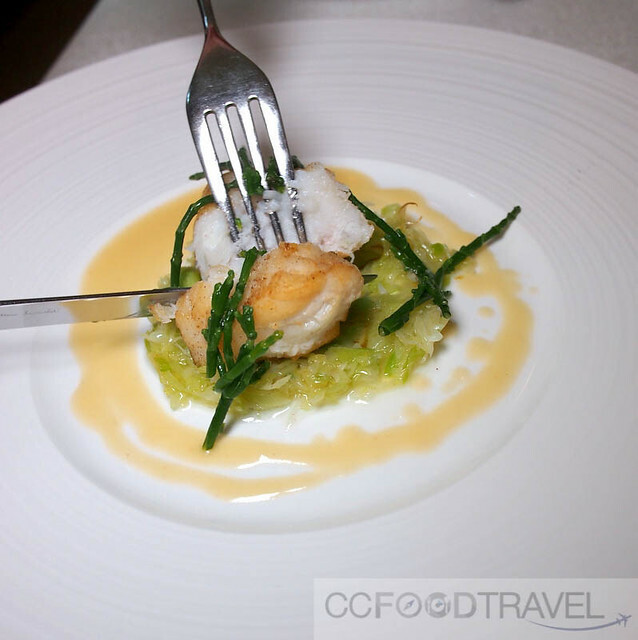 And if the price does not leave you dumbfounded, the food certainly will. 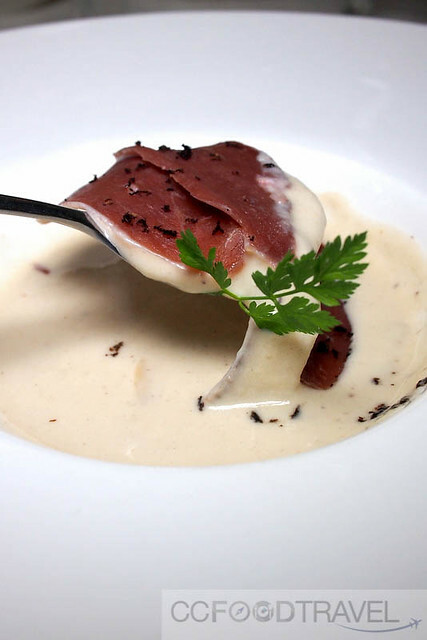 Creamy artichoke soup with in-house smoked duck breast – hearty smooth and filled with a deep flavour of smoky duck. Delicious! 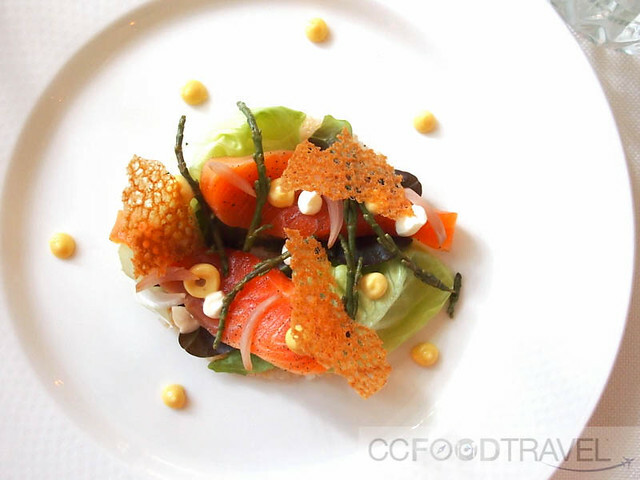 Cured Salmon Salad with Puff Quinoa and creme fraiche – my favourite dish as the salmon was succulent and sweet. The puffed quioa imparted a nice gritty texture to each mouthful. 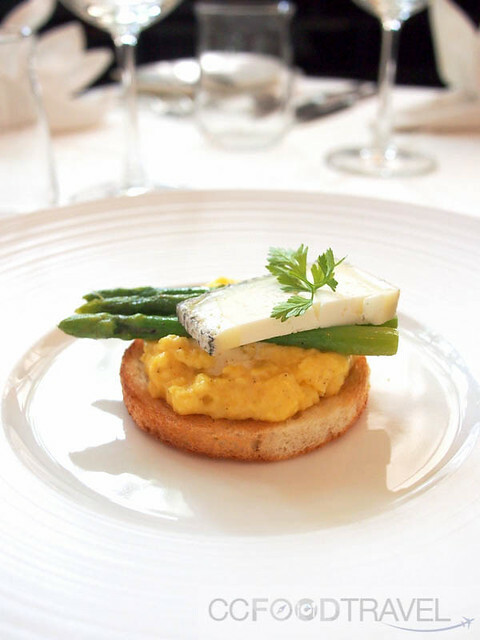 Scrambled egg with Goat Cheese & Green Asparagus – rich, with a deep robust flavour of goat cheese, topped with a perfectly done fluffy scrambled egg. So so good. Lovage Pistou Seared Trout with buttered Leeks – Buttery and with a nice saltiness imparted by the vegetables – a perfectly balanced dish. 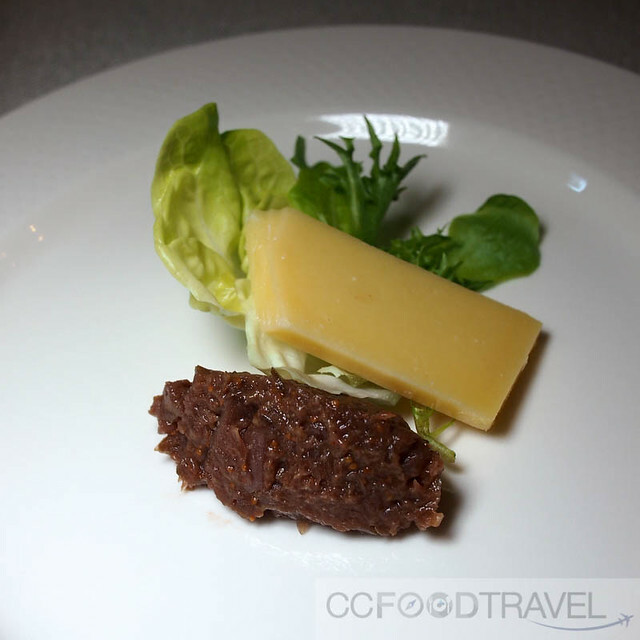 Confit Duck Leg Cassoulet with Duck Sausage – wow, this dish threw us a curve ball. So decadent and rich it was hard to finish! The duck confit cassoulet was packed with meat, the duck sausage also a hearty gamy bite and finally the foie gras on the side was the most unctuous and decadent of the lot.. and beans brought out the underlying sweetness of this dish. Talk about power packed mouthfuls of flavour! 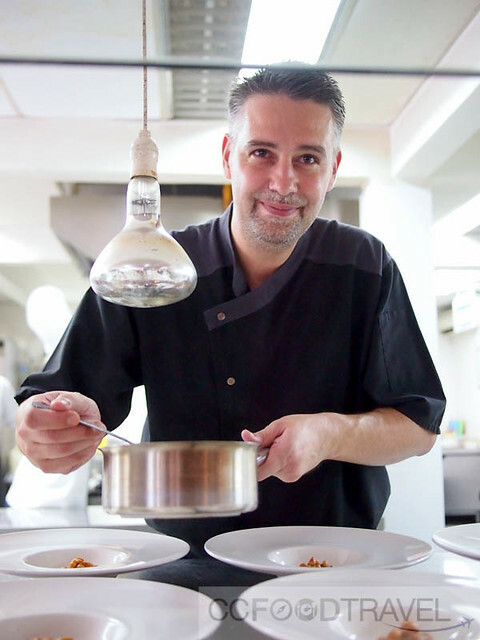 The most charming, Chef Florent Lescouezec putting the finishing touches on the Confit Duck Leg Cassoulet. 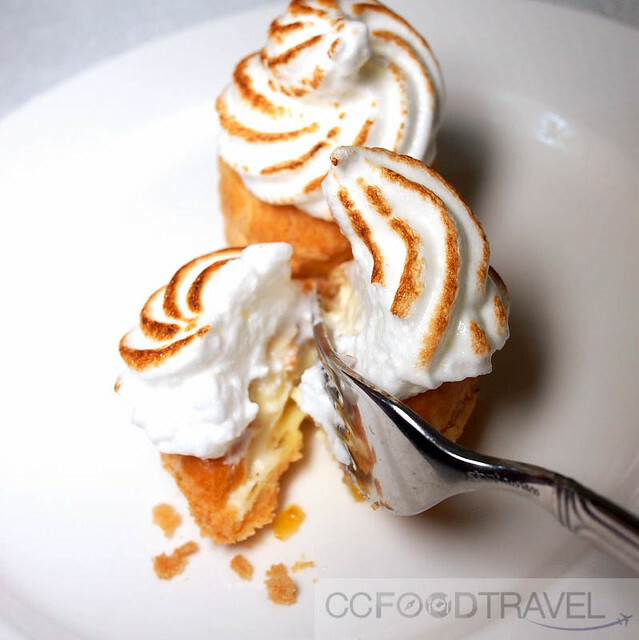 Lemon Meringue Profiteroles – sweet, zesty and tart. Loved the meringue which was so light yet slightly toasted – one of the lightest most awesomest desserts in KL town. You HAVE to try this. So.. our verdict..? 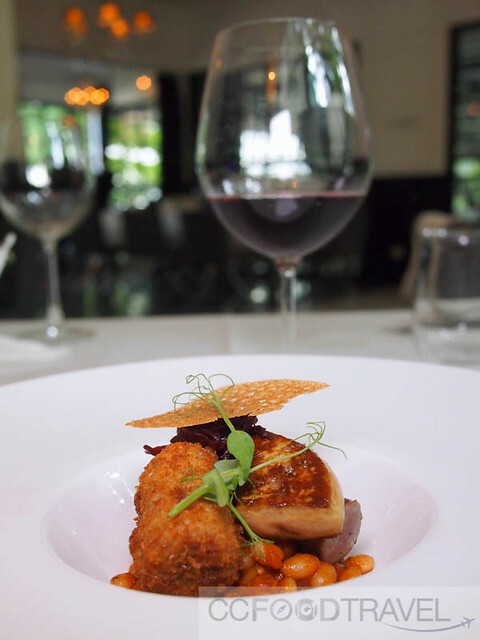 The weekend 7 course brunch is an amazing deal, priced Only at RM148++ and the boozy brunch is RM188++ where you add free flow red or white wines. Definitely worth checking out. And then if that’s not enough reason for a repeat visit, this should be. 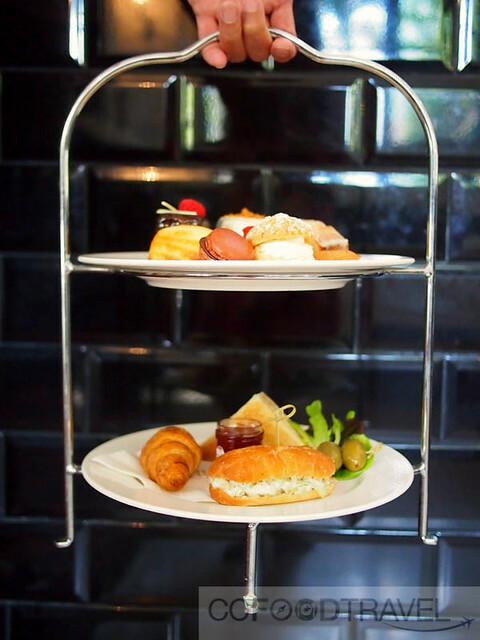 Afternoon tea at Maison at only RM58++. Bite size but big enough and perfect for sharing! These are the two most exciting offerings at Maison Francaise currently. Great reasons for a repeat visit! Yes! Time for a revisit!